I thought this would be a piece of cake, but my cake crumbled. I bought the Centric 11962001 and 11962002 kits that I that I thought would fit. After putting it together like a picture I found on the web, I found that the (referring to picture of front left wheel) top right spring was too long, so bought a shorter one. But then found that the supplied blue rod is too long to put any tension on the upper part of the adjusting foot, and the adjusting foot doesn't quite reach the adjuster once everything is together. So are they just the wrong kits? or something else needed? OK. So first the adjuster wheel appears to be installed backwards. The star wheel should contact the lever out near the end not in where it is. The bottom spring at the adjuster seems to be contacting the adjuster wheel. Is this the correct spring? The manual spring has coils running the whole way across its length. The self adjuster bottom spring has coils only part way across and the long pigtail is offset so that once installed the adjuster does not contact the spring. The blue rod appears to be the wrong part. I am betting it is for a late model (longer). 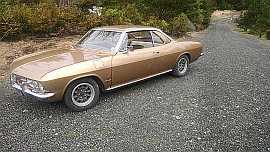 Sometimes buying from Clark's or knowledgeable Corvair vendor is of benefit. You get the right parts the first time most times. Richard - See pics of LM front. The EM drums are 9" vs. LM 9.5". I suspect Ted may be correct, you've got some LM parts on your EM. Although your Centric number is for a 62-64 Corvair - hmmmm. Edited 1 time(s). Last edit at 11/02/2018 08:29AM by 66vairman. When you live in Bolivia.... it makes things "iffy"
Richard, Sent you an email with two .pdf documents. Re-looking at your photo Richard the adjusting wheel unit is installed facing the correct way. Might be all you need is a shorter rod and perhaps a correct bottom spring (hard to see this part in your photo). Edited 1 time(s). Last edit at 11/02/2018 11:14AM by TerribleTed. I think the adjuster is correct. Looks like the blue rod is too long. Those springs should have considerable tension on them. On YouTube, search "1963 Chevrolet self adjusting brakes". You'll find a Chevy training video that explains in great detail how to install the adjusters on a car without them. I have the parts to do my '61, just haven't had the time yet. I think Richard understands how to correctly install the pieces. I just think he was given the wrong parts. At the least the lever that contacts the starwheel looks like it's for a larger diameter shoe. In all the pictures look how much room there is between the "kicker" tip and the primary shoe, compared to what he has. We also can't see the bottom spring above the adjuster. It has to have one long leg on the end to clear the starwheel. 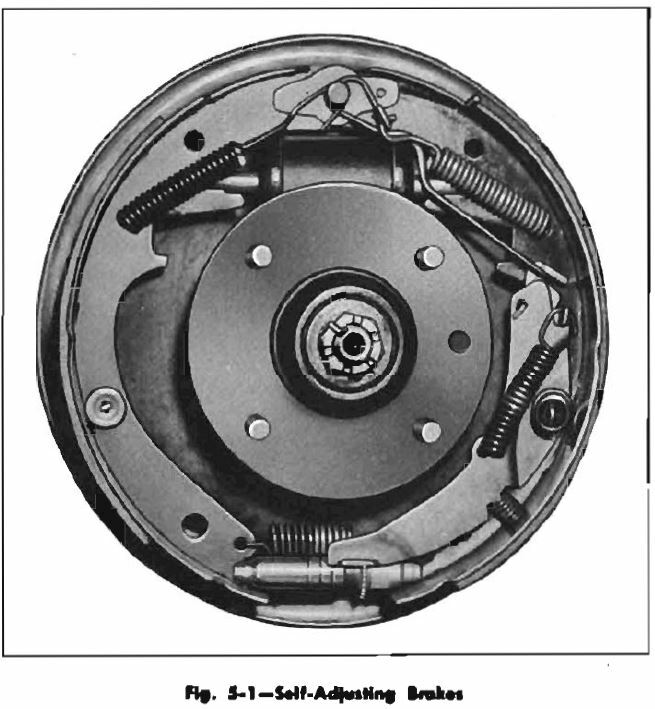 Manual brakes had close loops on both ends and rested against the adjuster to keep it from moving easily. That spring in his picture looks humped up. I'll see if I have some good used parts that are his for shipping. I have had to adjust the length of the blue rod on several cars for being to long. These were parts that came off of the same car. I put the center of the "jog" of the rod in a vise and bend the ends to shorten the rod until the adjuster arm contacts the star wheel. 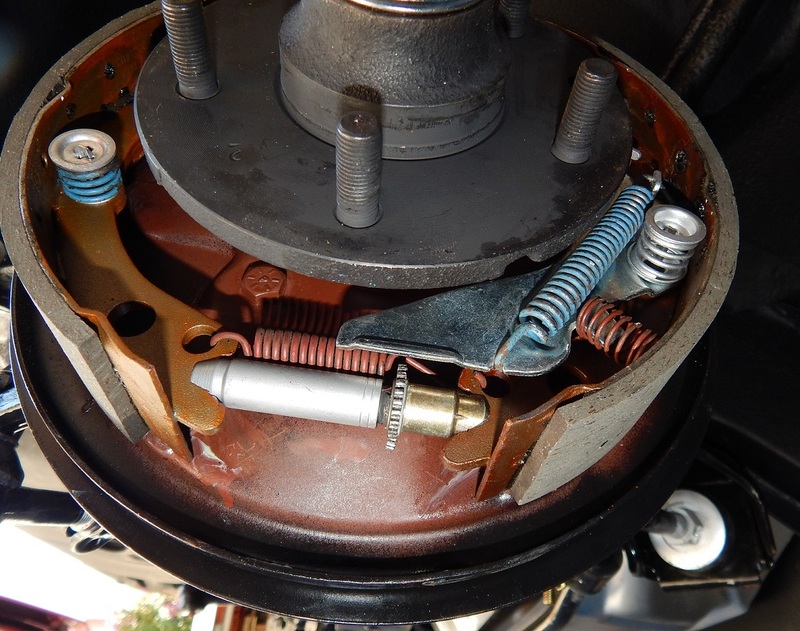 If the adjuster arm doesn't engage the star wheel then the brakes will not stay adjusted because there is nothing to keep the wheel from backing off. Now I can't tell if the rod can be shortened enough in this case but it wouldn't take much time to find out. The bottom spring would still need to be changed. > parts that are his for shipping. The self adjuster lever is the same part for 63-69. The rod Richard has is too long. It can not pull the lever into position. The late lever is longer so I suspect that is what it is. 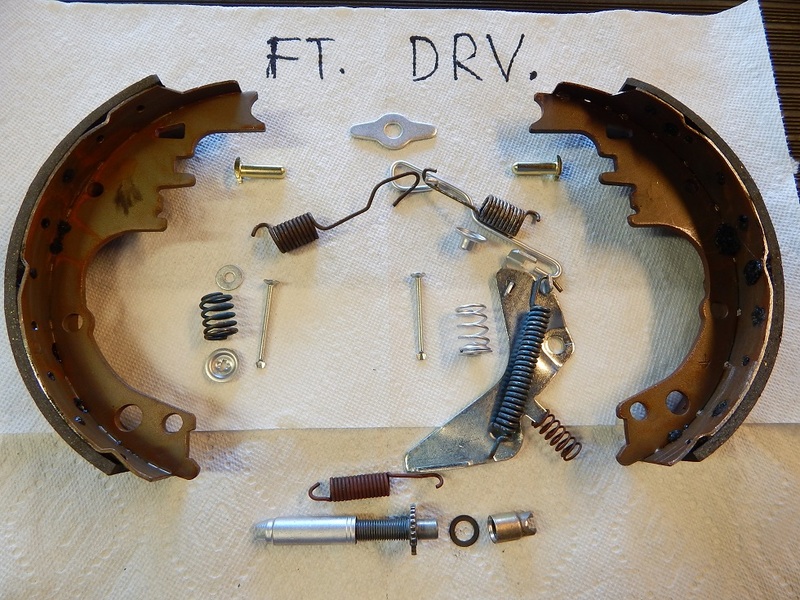 So you've never had a kid at a FLAPS look up a Corvair CAR part for you and hand you an FC part? richard1, I have enough good used pieces to convert your brakes. They'd need cleaned up but I wouldn't be afraid to put them on my car. PM me what you think you need. They're yours for shipping costs. 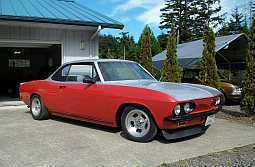 > Corvair CAR part for you and hand you an FC part? LOL the parts stores by me generally do not have anyone that can do more than look in their computer and see if anything comes up by make, model, and engine size. Recently needed an electric fuel pump. I gave the clerk the part number (8016S Airtex fuel pump). " what car is it for" was the response. I told her that is was a universal fuel pump and repeated the part number. Finally on the third try the clerk looked in the computer by part number and found the part. Have to be really careful that they do not look up Corvette parts instead of Corvair parts as I have had them try that a number of times as well since they have never heard of a Corvair. Don't be so quick to dismiss what someone has to offer for information. In the video I mentioned, there are some gm part numbers that could be of use. It does appear that adjuster (and maybe other parts) are for an FC. Although richard did use the correct kit part number. Seems like a supplier issue. 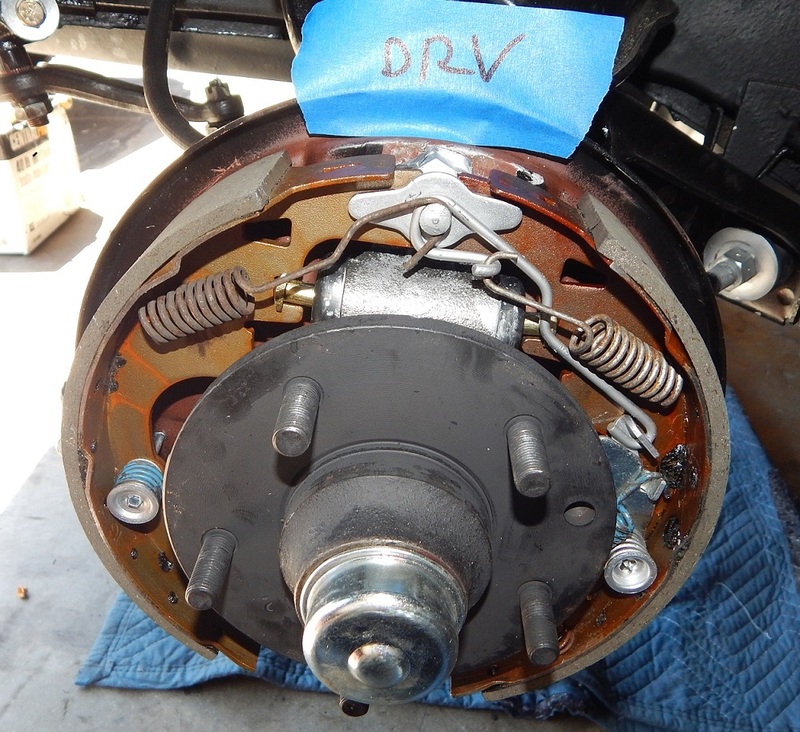 Replacement brake actuator link/rod actually designed for larger diameter brakes (9.5").... mid '60s through early '70s GM intermediates (Lemans, Chevelle, Cutlass, Skylark, and late model Corvairs). Thanks everyone, looks like they sent the wrong stuff.